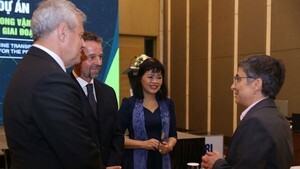 Senior Lieutenant General Nguyen Chi Vinh, Deputy Minister of Defence of Vietnam attended the event. Addressing the ceremony, General Nath Intharacharoen, Permanent Secretary of the Ministry of Defence of Thailand, said together with the regional economy’s extensive growth and integration, the level of dependence of the ASEAN member countries is becoming clearer. 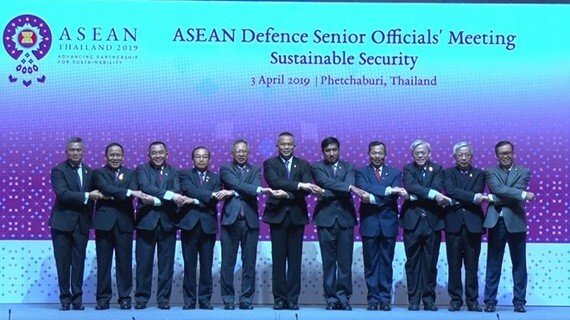 The member countries have more than ever paid attention to how security forums, like the ASEAN Defence Ministers’ Meeting and the ASEAN Senior Defence Officials’ Meeting, play their role in shaping the security community in the bloc, he said. He laid stress on stepping up defence cooperation among the ASEAN member countries as it will help them better deal with security challenges and build a security environment favouring the region’s growth and prosperity. Participants discussed proposals of the member countries, including the expansion of direct communications infrastructure submitted by Brunei, the establishment of the ASEAN military medicine conference of Myanmar, and security issues and role of the defence force in addressing illegal fishing of Thailand. Deputy Minister of Defence Nguyen Chi Vinh emphasised the central role and consensus of the ASEAN member countries which have been prescribed in the bloc’s most common principles. He suggested the member countries assert ASEAN’s independence in all decisions made that relate to inner security issues. The ASEAN Defence Senior Officials’ Meeting and related meetings are taking place from April 2-5.